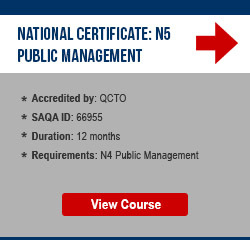 At Oxbridge Academy, you can choose from a variety of courses that have been developed to give you the knowledge and skills you need to work in the field of public sector management. Download the Public Sector Management brochure here. 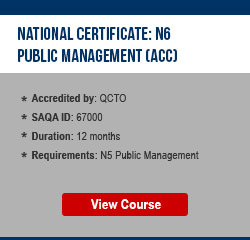 These non-accredited skills development courses introduce you to the public sector, and equip you with some of the fundamental knowledge and skills you need to work in this sector. 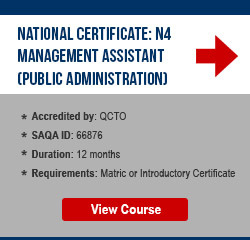 These N4 – N6 courses lead to formal qualifications that are registered on the National Qualifications Framework (NQF). By studying N4 – N6 courses, you can acquire the knowledge and develop the skills you need to work in various departments within the public sector. 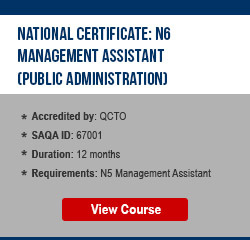 If you have completed your N6 level and can provide evidence of 18 months of relevant practical experience, you may be eligible to apply for – and receive – a National Diploma. My experience with Oxbridge Academy has been great so far! Broadly speaking, public administration refers to the implementation of government policy, usually by civil servants in the executive branch of government. 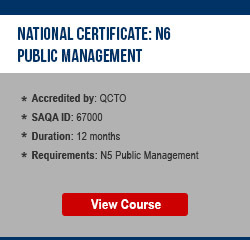 It involves managing the public service, as well as serving the public through government and non-profit organisations. Assisting members of the public. Reviewing and implementing changes to public policies.  Liaising with various stakeholders, including private contractors and non-profit organisations. Performing various office administration duties as required. These are only examples. Public administration is a diverse field, and the precise duties and responsibilities of a public administrator will vary considerably from one job role to another. 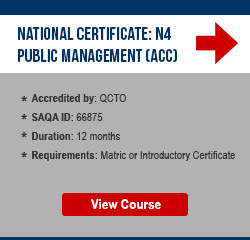 The field of public administration, public finance and public management offers a wide range of career opportunities in the government sector, as well as in non-profit organisations and private businesses that enter into contracts with government. Depending on the job you want to apply for, you may also need additional specialised skills. An HR Manager in the public sector, for example, will need HR skills as well as public administration skills. Likewise, a Budget Analyst will need accounting and financial management skills in addition to public administration skills. Local government: In South Africa, there are three levels of government: national, provincial, and local. 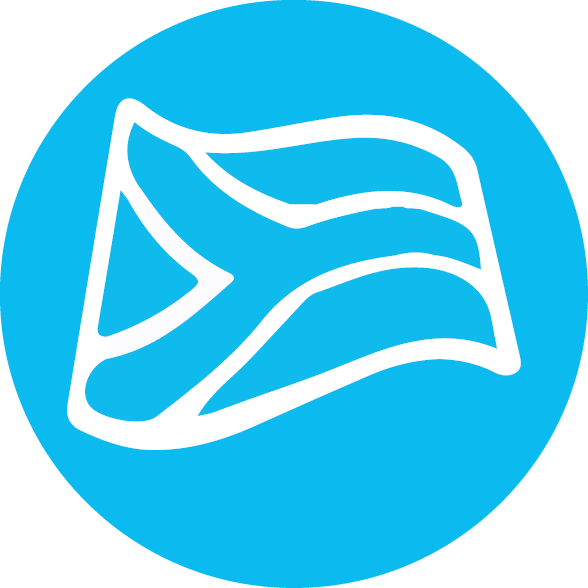 The local level includes municipalities, and is predominantly responsible for service delivery and administration in relation to aspects such as town planning, local health care, refuse collection, supply of water and electricity, and traffic regulation. Public policy: The underlying principles on which laws are based and according to which laws are applied. Public sector: The part of the economy that is focused on providing basic goods and services to citizens – usually through the various tiers of government, together with non-profit and government-funded organisations. Stakeholder: A person who may affect or influence, or may be affected or influenced by, something.